Will Nicola Roberts's solo material be any cop? 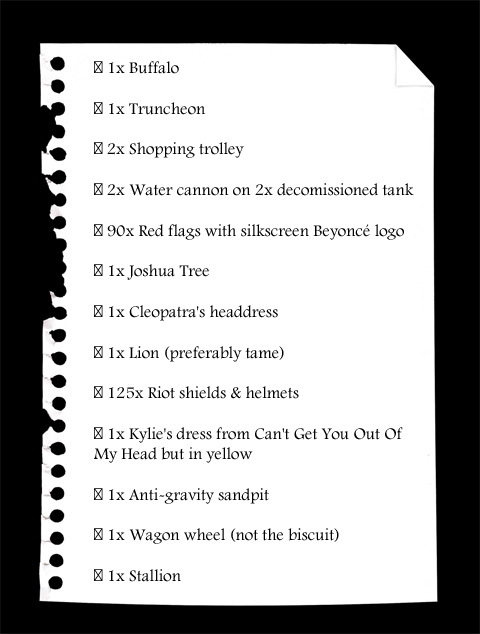 I'm glad I wasn't the prop master for Beyoncé's new video, Run The World (Girls). Imagine the night sweats you'd suffer after receiving the following inventory request. On the other hand, it would have made the best Apprentice task of all time. Wow. That is really quite something, isn't it?